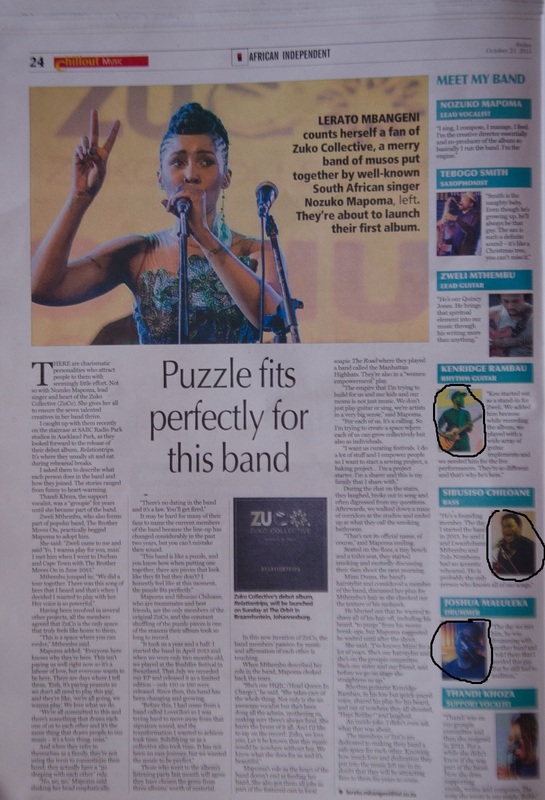 African Independent forgot to credit me for the pictures used for the print edition of their article on Zuko Collective published on 23 October 2015. I’m not sure whose idea it was to not credit the photographer, but chuffed that the images got used. The main picture, plus the ones circled on the article’s sidebar, were taken during the band’s listening session 23 September 2015. Otherwise, the author Lerato Mbangeni’s a star; track her writing on-line and read all of it!